Flea markets are a great place to pick up unusual recipe books. A few years ago I was helping out at one with my mom, and I started looking through the books, and found this one. I l love cranberries, and it was only fifty cents, so I bought it. Whoever was hired to collect the pictures for the book did a great job – there are many old labels from now-vanished companies like Eatmor, as well as black-and-white pictures of cranberry harvesters, and their equipment. You won’t be surprised that the two largest sections were on alcoholic and non-alcoholic drinks. 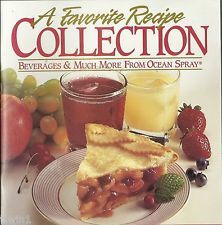 This is in addition to the recipes in the Classics section, which include my favourite, the Sea Breeze. A lot of the drink recipes seem a bit old-fashioned, relying on canned pineapple. I was glad to see that Cranberry Apple Crisp made it into the classics – it’s very close to my own recipe for Crumble. There is a surprisingly appetizing-sounding recipe for Southwestern Chicken Nachos that I want to try, and another for Cranberry-Cappuccino Muffins. The second, that the ingredient has a very particular association. In cranberry’s case, Thanksgiving. (And in Ocean Spray’s case, juice.) 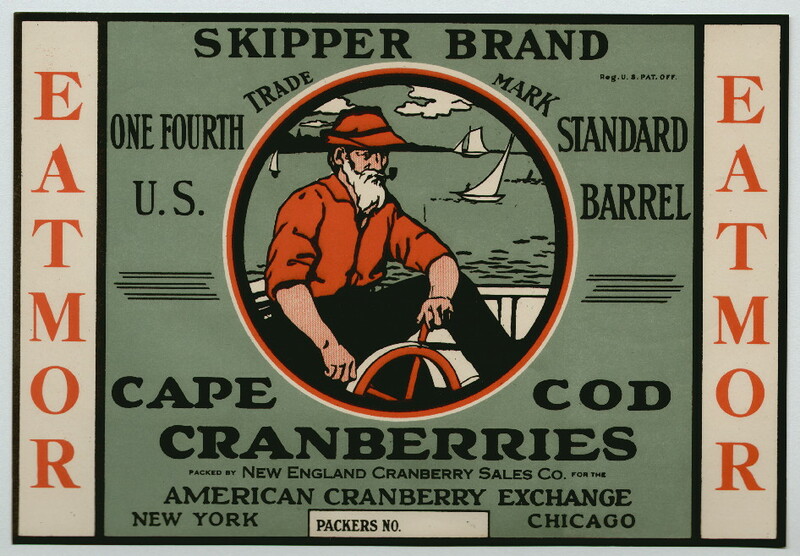 Luckily for the company, Americans and Canadians have taken cranberries to their hearts, and it has become a versatile ingredient, mainly because of its tartness. It has made inroads outside its native shores, too. When British TV cook Delia Smith featured them on her show in 1987, cranberries sold out across the UK as people who might never have eaten them before suddenly wanted them with a turkey dinner. 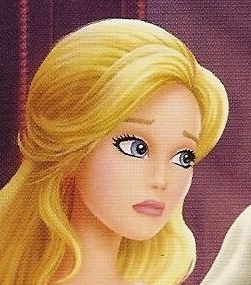 (Were they celebrating the departure of the Puritans, I wonder?) One of her more recent TV series put up egg sales by 10%. 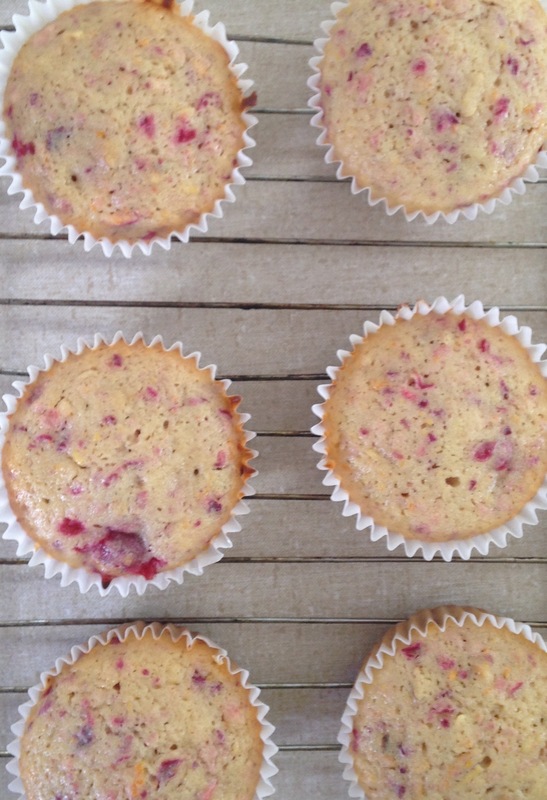 The cookbook made me think of another muffin recipe that I haven’t made in a long time. I can’t remember the name of the cookbook I got it from, except that the author said that whenever she made it, it reminded her of when she was living in Florida and the juice factories were going full-out. If you think it’s too orange-y, cut down on the zest, but keep some, for the scent. I’ve never been to Florida, so I don’t know if it smells of OJ factories, but it certainly does smell good when it’s cooking. Oven at 350 F (180 C), 2 muffin pans. Sift flour, baking powder and salt together. In a separate bowl, cream together butter and sugar, then add eggs, one at time, beating well after each one. Then zest the orange into the mixture. Add half the flour, then the milk, and beat well. Add the rest of the flour, then the orange juice. There should be half a cup, so top it up if necessary with milk or more orange juice. 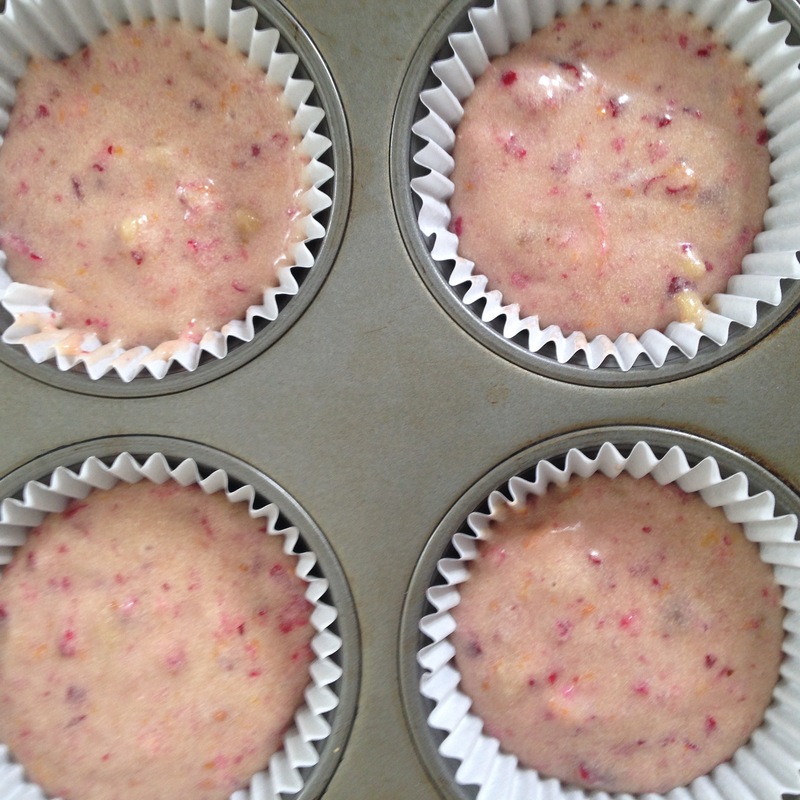 Grease muffin tin or put in paper cups, then fill each ¾ full. Be sure to put water in the empty cups. Bake at 350F for about 30 minutes, or until it passes the toothpick test. This entry was posted in Food and tagged recipe on May 24, 2015 by solsdottir.